THE fight to help struggling Southern Downs farmers just recruited a high-profile supporter after television star Karl Stefanovic made a huge announcement in Warwick this morning. 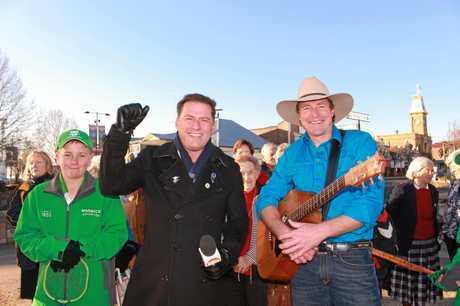 The Today Show host revealed Warwick had been chosen to host half the Farm Aid Telethon on August 20, planned as part of the morning program's drought relief appeal. 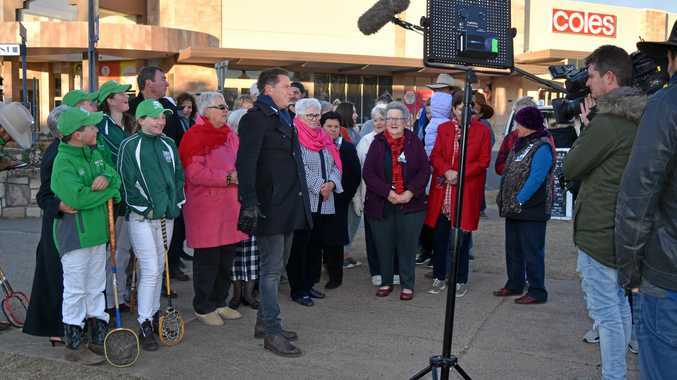 Mr Stefanovic said he personally chose Warwick as the location for the telethon, inspired by the friendliness of people in Warwick and beauty of the city. He said he could not imagine anywhere better to host the event. "I know Warwick has a number of events and knows how to do it, and everyone is so welcoming, it's just a really nice vibe here," he said. "This part of the telethon will be really awesome, really special." The telethon will be held as part of the Today Show's drought relief appeal, which has already raised $3million for drought-affected farmers. Mr Stefanovic has been travelling through drought-ravaged country across the nation, including visits to Tamworth and Coonabarabran. He said land was the driest he'd seen it, but he hoped the telethon would help give struggling producers around Warwick a boost. "Hopefully some of the people who are doing it tough on the farms will be able to come in and forget about it for just a little while, if they can," he said. "Media in general has been slow on this to act and raise awareness, probably for Queensland it's five years too late, but we're here now and all we can do is try and make up for it and continue to raise awareness." 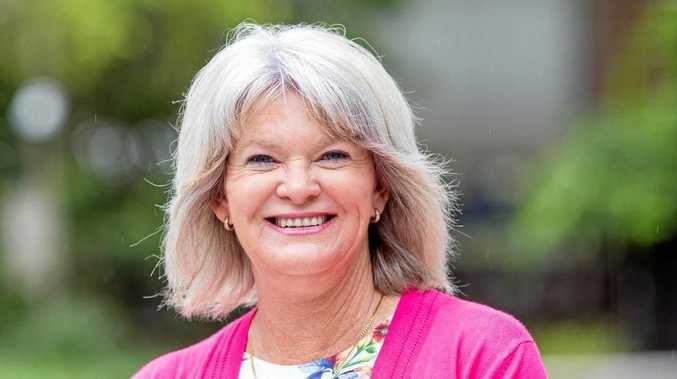 Southern Downs mayor Tracy Dobie was delighted to hear the news Warwick would be involved in fundraising for those battling the harsh conditions. "I think it's a recognition that things are difficult for people at the moment and anything to lighten that load is worth it," Cr Dobie said. The mayor said the council was seeing the wide-reaching effects of lack of water around the region, as the once lush green grass in parks turned brown. But Cr Dobie encouraged the community to get out in force for the telethon later this month to help make it a strong event. "It's important that we take these opportunities to have a bit of a laugh," she said. 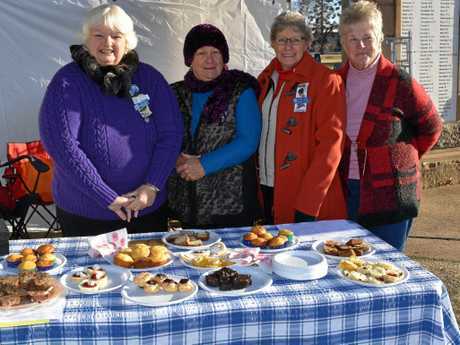 Members of the QCWA were on hand this morning with sweet treats to keep the cold crowd full. Border division president Margaret Grayson said it was wonderful for Warwick to be given the opportunity to host the telethon. "The farmers are closer to town so they can come in and talk about it," she said.